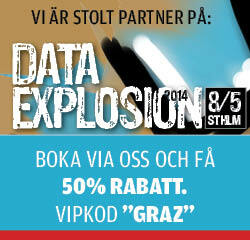 Graz will be one of the exhibitors at ComputerSweden’s “Data Explosion 2014” in Stockholm. To ensure that you make the most out of your visit, please contact us to arrange a meeting. If you have any questions, do not hesitate to contact us for further information.